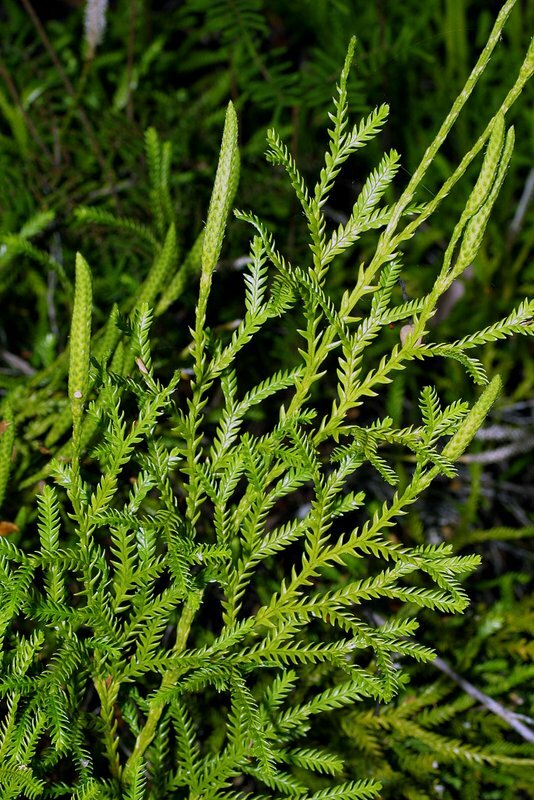 Lycopodium scariosum is a terrestrial clubmoss with a creeping stem forming rigid, many-branched erect stems. 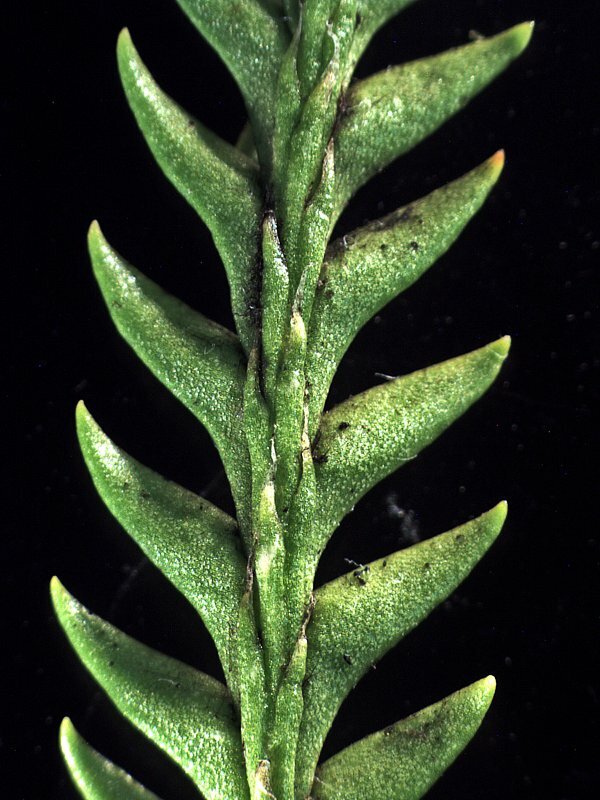 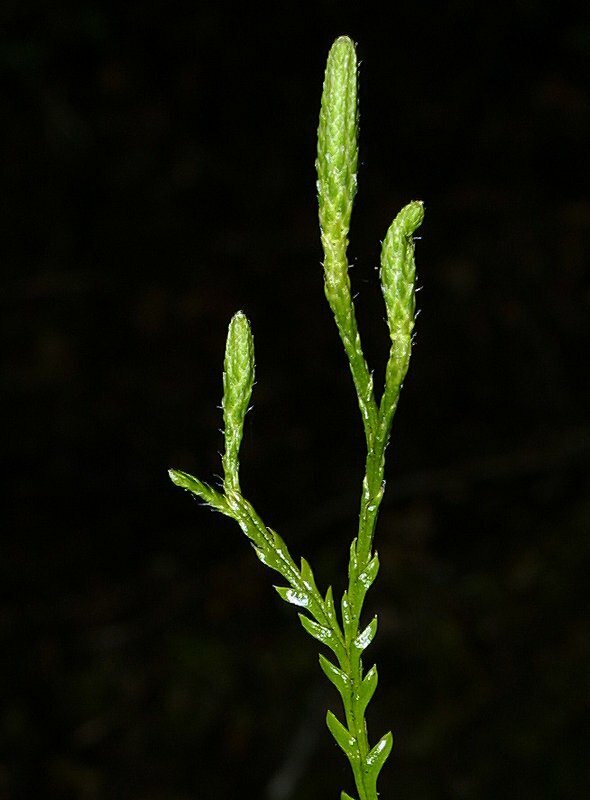 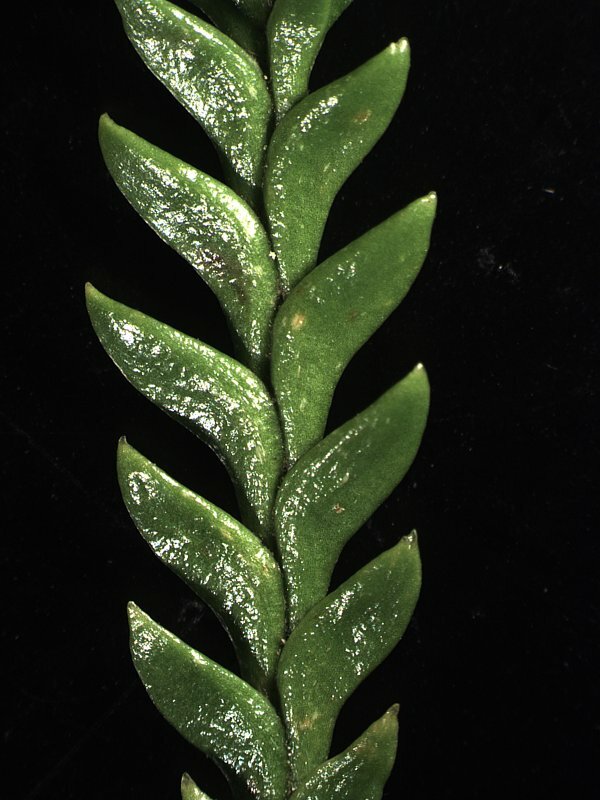 There are two lateral rows of larger, spreading, flat and sickle-shaped leaves and one dorsal row of smaller needle-like appressed close to the stem. 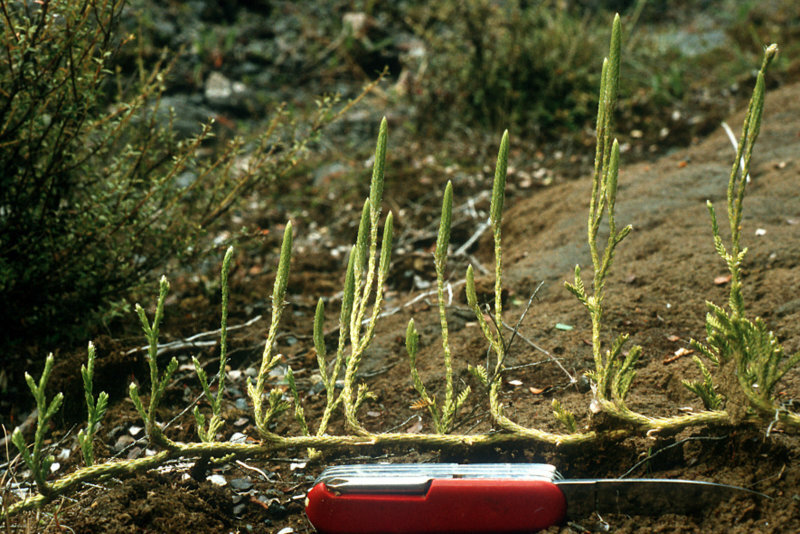 Terminal cones are formed on upright branches.